I have posted in the past about my love of hats. I can’t pass by a hat store without trying on several and buying a few. Of course there is the famous incident where I had four hats on my person on a day trip and bought three more while out an about. I know, I have a problem, but I love hats. With many a great source for hats online, I can stay home and add to my collection. However, there is nothing like visiting a great hat store. One of the best hat purveyors I have found is John Helmer of Portland, OR and lucky for me they have an online outlet as well as a physical store. John Helmer sells all manner of hats and their website is a great resource for all things hats, like how to care for your hats and how to determine your hat size. They also sell other products, mostly men’s furnishings. This place is so old-school awesome they even sell shirt sleeve garters. I haven’t been out to Portland, OR for several years, and I am overdue. On top of my list next time visit is a stop at the John Helmer store. 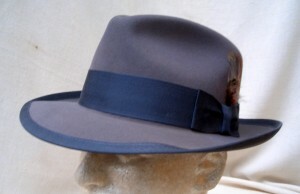 See all the great hats and other products of John Helmer here. Take a look back at the past year of posts here on Lost Cowboy and you might be tempted to suggest we rename the site “Books & Bourbon” with all the posts about the two subjects we feature. Well, it is no secret we love our books and our bourbon and we will keep posting about the great finds we discover on both subjects. However, today we are quite pleased to combine the two with our latest find: the repurposed books of Bender Bound. 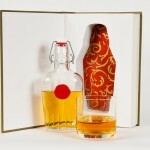 Yes, the folks at Bender Bound take vintage books and remake them into hidden flask holders. So cool! See the creations of Bender Bound here. I have to say that I really love my Blackberry. That said, my mobile contract is up for renewal and along with it comes the option of a new phone and I have been thinking about the iPhone. I know I will love the iPhone as I have been in love with my iPod touch and iPad for some time now. But my observation has been that the iPhone is good for just about everything you want in a smart phone except for the phone part. So I have been thinking about staying with Blackberry and continuing with the perks the iPhone provides with the apps on my existing Apple devices. That was until I came across the mobile phone covers of Zero Gravity. 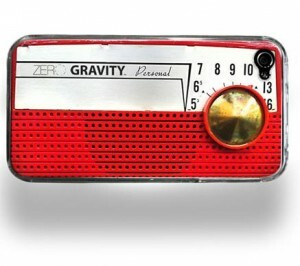 I adore this Vintage Radio iPhone cover they offer and it may just push me over the top towards the iPhone. See all the cool products of Zero Gravity here. I love many things. But I would be hard pressed to find three things that I like more than bikes, vintage movie stars and coffee table books. Put the three together and I am heaven. Well, that is exactly why Steven Rea has done with his wonderful new book Hollywood Rides a Bike – Cycling with the Stars. Some books are meant to be read, and I try to feature some of them each week here, but other books are meant to be devoured, and that is what this book is about. The photographs in this book are great and there are some really nice shots in here that will definitely make you smile. Hollywood Rides a Bike – Cycling with the Stars is the perfect coffee table book, one that will look good on your Texas-shaped table and will actually be opened time and again by you and your guests. The book is a result of the great Tumblr photo blog, Rides a Bike, which I have loved for some time. The images in the book and on the blog are more than just a delightful curiosity. When strung together these photos represent a collective pop culture history linked together by the constant of the bicycle. 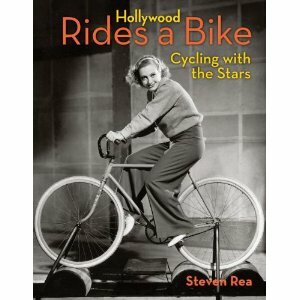 Hollywood Rides a Bike – Cycling with the Stars is available from Amazon and other booksellers. Check out the fabulous “Rides A Bike” photo blog on Tumblr here. Last week at this time we were in the middle of a highly unusual warm wave with a few days of temperatures in the low 70s here in New Hampshire’s mountains. But alas, we all knew it would be short -lived and the reality of a lingering winter is back this week. However, pictures can be deceiving. 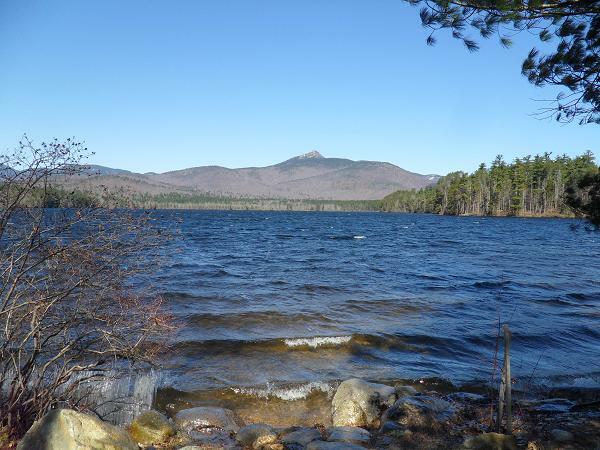 Last week with the warm temperatures Lake Chocorua still had ice cover. This week, with temperatures in the low 20s and gusty winds, the lake looks ready for swimming. Take a closer look… notice the ice that has formed on the branches of the tree in the bottom left of this picture – the result of the wind splashing the icy water on the shore. Once again, I am amazed by the different look of this great scene. Often the lake is so calm it is a giant mirror, today with the wind it looks like the open ocean. 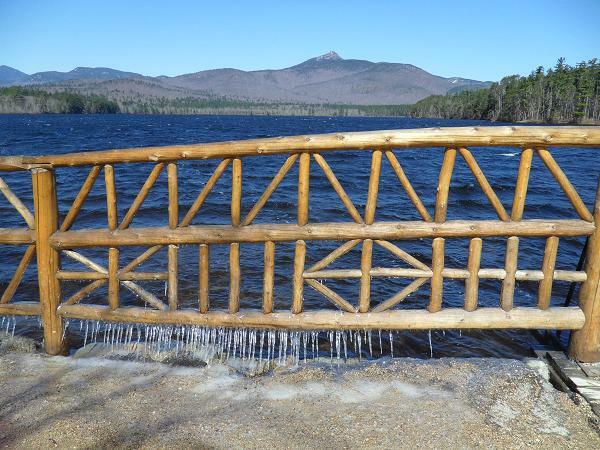 Below see the icicles that formed on the bridge that crosses over Lake Chocorua (at the foot of the glorious Mount Chocorua in Tamworth, NH. I love living in New Hampshire. I love most everything about the state, save for its shape. Take New Hampshire off the map of the United Sates and it looks like you have a misshaped slice of pizza or piece of pie. Turn it upside down and you have, well… Vermont. Now Texas, there you have a state with a great shape! So you can see how I fell in love with this Texas table from Stately Tables, a company dedicated to making tables shaped like U.S. sates – and I love them! These tables would be a great addition to a room you are looking to spice up a little bit. I am sure you can find a shape that makes a statement (sorry). I would go in for New Hampshire-shaped coffee table for my beloved screen porch, but I would hate for people sitting on the wrong side of it thinking I am honoring that Green Mountain state accross the river. See all the great tables of Stately Tables here. My parents played several games of cribbage every Saturday night when I was growing up. Saturday was the only night the family did not eat together in the dining room. Mom would set us kids up in the kitchen with hamburgers or hot dogs and my parents would eat together alone in the dining room. Once we finished our dinner and proved we had drank all of our milk, we would visit the ding room where Mom would treat us to a little bit of her Tab as a treat and then tumble down to the family room to watch television. It was known that Saturdays were date nights for the folks, and I guess I left it to my older siblings to make sure I got out of the way so mom and dad could play their card game. Anyway, I have always wanted to learn to play cribbage. It is funny, I have played cards with my mom my whole life, mostly gin rummy. However, she never taught me cribbage. I think it could be because it was something special my parents shared, even though dad has given up the game in recent years. Recently I had the chance to learn cribbage from a friend, which was fun, and I approached my mother about us playing, and she seems to be excited about the prospect – so we shall see. 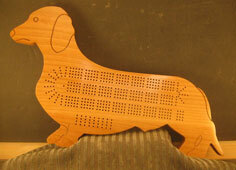 As a result of this rediscovered interest in cribbage, I have been noticing cribbage boards more and more. I have seen some great vintage boards and discovered some amazing new ones made by master craftspeople, like the Custom Cribbage Boards of Splinters Woodworks. These custom boards are really cool, but Splinters Woodworks also has a full line of ready-made cribbage boards for sale. I am very excited about taking up the game and sharing some special times with my mom and others who love the game. Here’s to great memories and future fun with loved ones. 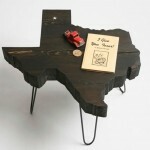 See all the great handmade products of Splinters Woodworks here. 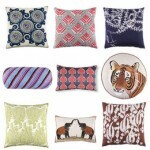 Lost Cowboy fans know how much I love textiles with interesting designs. A simple panel of fabric with a cool design can change a whole room, whether used for curtains, pillows or just as a throw or table covering. Some of the best textiles I have come across recently are by John Robshaw Textiles. John Robshaw Textiles offers some wonderful Asian-inspired prints that have been applied to everything from bedding and clothing to travel products. 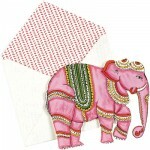 Check out John Robshaw Textiles here. Like most boys growing up, I couldn’t wait to shave. I remember watching my dad shave and for a time I had a toy shaving kit and I would following along. My dad was a great shaver. He used a real straight-edge razor and had a great little machine that warmed the shaving cream before he applied it to his face. I even remember admiring his little cuts and how he tended to them with a styptic pencil and the occasional spot of toilet paper. Alas, I was cursed with a baby face and very light facial hair which meant I was well into my young adulthood before shaving everyday was needed. Ultimately my joy of shaving was short-lived and shaving became a daily curse. However, now as I get older, I think more about shaving and making it part of a total hygiene and healthy living regimen. Which means I have been looking into more traditional shaving products that result in a cleaner shave and better results for my increasingly sensitive middle-aged face. I have played around with shaving brushes, real razors and the occasional professional shave (which by the way is enough to spoil anyone). Unfortunately, finding a good source of these products is not as easy as going to you local CVS. Which makes places like London’s Taylor of Old Bond Street a goldmine. Taylor of Old Bond Street has a great collection of everything a gentleman looking for great shaving products needs. In addition, for you ladies who want a great gift for the men in their lives, Taylor of Old Bond Street is just the ticket. Start with one of the great gift sets before moving into the razors. Anyone looking for a perfect gift for a guy like me – I would love an old school open razor, perhaps with a mother of pearl handle. Throw in a vintage LP of the original Broadway cast of Sweeney Todd and I will love you forever. See all the shaving and grooming products of London’s Taylor of Old Bond Street here. 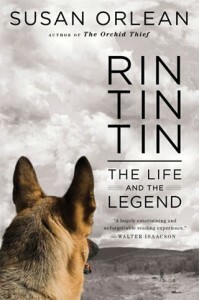 If there ever was a book that fits the Lost Cowboy esthetic it is Rin Tin Tin: The Life and the Legend by Susan Orlean. I enjoyed this book immensely. Rin Tin Tin: The Life and the Legend is the story of the iconic movie and TV dog, Rin Tin Tin, and it reads alternately like a great adventure story, Hollywood biography and memoir and is totally riveting. The story of Rin Tin Tin begins on the battlefields of Word War I where a puppy is rescued and brought back to the United States for one of the most amazing stories in the history of the motion picture medium. And that’s not hyperbole. In this day and age when we know everything about everyone, it is interesting to look back at figures from our past we have heard about but know little about. I have said before that I enjoy biographies of figures whose lives spanned the 20th century. In Rin Tin Tin, Ms. Orleans (an accomplish writer of great renowned) brings us such a tale, even though the original Rinty (as he was kn own) lived a relatively short time. It is the legacy of the great movie dog and the people whose lives centered around him and his descendants, and still do, that make the story and Rinty immortal. At its heart, Rin Tin Tin: The Life and the Legend is a biography of the dog and his master, Lee Duncan, but it is also a pop culture history, and most touchingly, a personal story of Ms. Orleans own longing for what was behind her childhood fascination with Rinty and the statue of the icon her grandfather had. I loved every minute I spent reading Rin Tin Tin: The Life and the Legend and now count myself among the legions of fans past and present who have fallen under the spell of the great movie dog. Rin Tin Tin: The Life and the Legend is available from Amazon and other booksellers. Lost Cowboy is powered by	WordPress 5.0.4 and delivered to you in 0.915 seconds using 58 queries.